FlashCut CNC kits were engineered and built in the USA to seamlessly turn our most popular milling machines into miniature CNC machining centers to be used for production or prototyping. 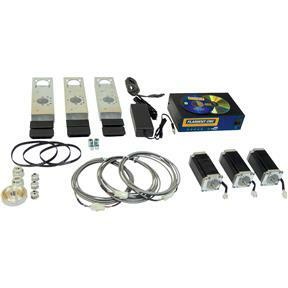 There is no machining or drilling necessary allowing you to install the entire kit in less than an hour. 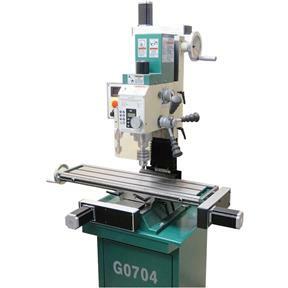 It also works with many competitive milling machines designed around the X3 platform. FlashCut's stepper and servo kits were engineered to ensure smooth and uninterrupted motion using 32 or 64-bit Windows 8, 7, Vista, or XP with a USB connection on a laptop or desktop. Includes an updated 3-Axis, 5 Amp Compact Microstepping Controller, FlashCut CNC Windows-based software, (3) NEMA 23 454 oz-in stepper motors with 10' cables, motor mounts, pulleys, belts, and associated hardware. Also fits other X3 style mills. 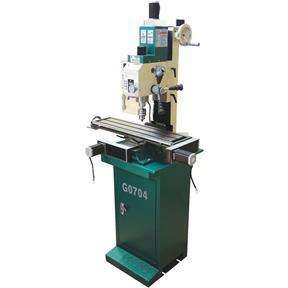 Designed for our G0704 Drill/Mill with Stand.